The first Thursday of every month, I share three related book recommendations with you. You are invited to link up at the end of the post with three recommendations of your own! Click here for more info about Three Books on Thursday. As I'm sure is probably evident from some of my recent posts, I'm using this time of transition to step back and take a broader view of my life. Am I spending my time, and thus my life, the way I want to be spending it? Am I living authentically and cultivating strong relationships? Am I appropriately assessing what I do and do not have control over in my life? 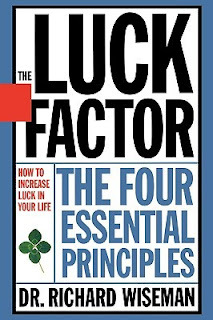 Today I'll share some books that help answer these questions, and the good news is that you don't have to be in a big life transition to find value in them. They can meet you where you are, and then help you move closer to where you want to be. How much time do you spend working each week? How much time do you spend sleeping? Watching TV? Eating? How much free time do you have? The answers might surprise you. 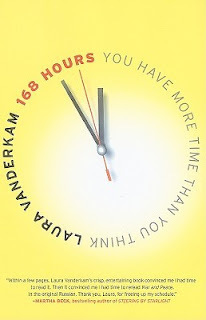 Vanderkam draws on research and statistics to show that how people estimate their time use and how they actually use it are vastly different. She destroys both our misconceptions about our own time and our false beliefs about the "norm" or "ideal" that we think we're striving for, and then provides practical, small changes we can make to start moving toward the way we want to spend our time. I've heard the critique that this book is only for freelancers with flexible schedules, but a whole section is devoted to the importance of finding work you love, with full-time job examples. She's not productivity-obsessed either (another critique); she just wants you to stop wasting time checking your phone so you can do what you want to be doing, even if that's wandering aimlessly through the park. If you've heard of Brown, it's probably from her viral TEDxHouston talk on vulnerability. This book is a more in-depth explanation of her research on shame and vulnerability, including a whole host of stories to illustrate her findings. 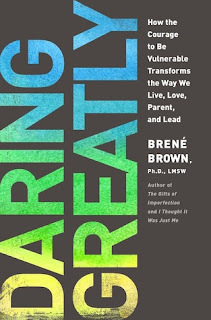 She explains why vulnerability is actually the opposite of weakness, why over-sharing is a shield from true vulnerability, and why shame doesn't motivate like people think it does, as well as the implications this has for leaders, teachers, and parents. Perhaps most valuable are her findings from interviewing people who have what she calls "shame resilience," who neither hide from shame nor become consumed by it. If you don't find something in here that resonates deeply with your life experience, I will be surprised. Brown will expose and destroy the false beliefs you hold about yourself and about what it means to be a worthy person. What other books have helped you step back and evaluate your life as a whole? Click here for other 3BoT posts! Also, I've recently created a Goodreads account, which you can check out for more in-depth reviews and recommendations. Please note that this post contains Amazon Affiliate links. 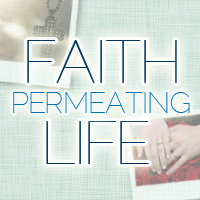 If you click on a book cover and make any purchase at Amazon (including but not limited to the books suggested here), your purchase will be supporting Faith Permeating Life. Thanks! I just bought 'Daring Greatly' and am super-excited to read it. 'Gifts of Imperfection' was one of my all-time favorite reads (of the nonfiction variety). She references The Gifts of Imperfection a few times throughout the book, but it's clear that the two books have different purposes and different message. I bet you will enjoy Daring Greatly just as much. I've been slowly working my way through Daring Greatly... though, honestly I don't find myself nearly as enthusiastic about this book as I was The Gifts of Imperfection and I Thought It Was Just Me. I think it's a great book and I'd highly recommend it, don't get me wrong... but at the same time I find myself having "Yeah... but I've already heard you say this twice before..." sort of reaction to it. Ah, good to know. I guess the basics of her findings are the same no matter the context in which she's sharing them. I'm guessing the reaction I had to Daring Greatly is closer to the reaction you had to whichever of her books you read first.